Your fitness regime doesn't have to go to the wayside when you travel. With these 5 portable fitness essentials, you can stay fit anywhere. My favorite brand for long lasting figuring hugging tights is still Lululemon. They fit well and don’t fall down doing burpees! For fashion I can’t get past my favorite Aussie brands, Lorna Jane for bright fashionable crops and tops, PE Nation because it’s so damn hot and stylish, Nimble Active wear and The Upside. This is the ultimate portable workout! Work up a good sweat with just a few minutes of jumping rope. 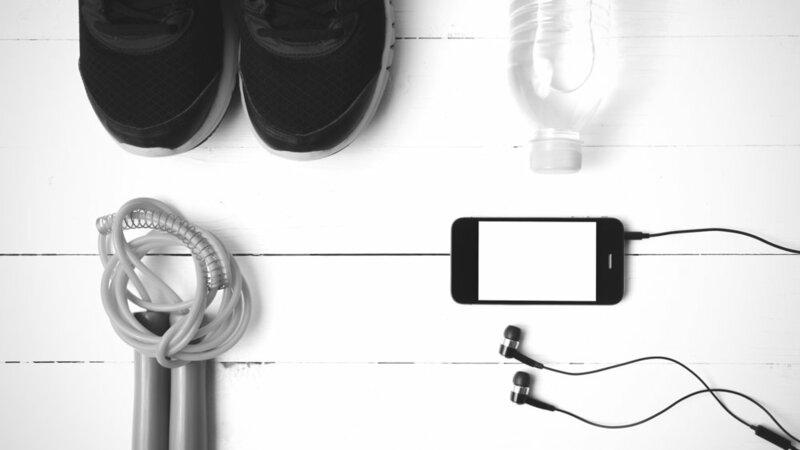 A smartphone is useful for more than just listening to music and post workout selfies while exercising. It keeps track of steps, plans workouts, helps navigate, and motivates. · Gym Boss Interval Timer – You can adjust the timing based on what your workout is for that day. · Map My Run– See how far you go, and have the added benefit of not getting lost. · 12 Minute Athlete – I like this app for times when you want a quick guided workout. Resistance Bands are so versatile! They add resistance, assist in body weight movements and can be useful for stretching too.